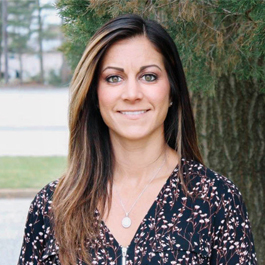 MIDDLETOWN, NJ – T&M Associates, a leading national engineering and technical services consulting company, announced that MEP/FP Engineer and Group Manager M. Elaine Dasti has made South Jersey Biz’s 20 Under 40 list. The 20 Under 40 List recognizes 20 remarkable professionals under the age of 40 on the rise in the South Jersey business community. Dasti is making waves at T&M, in South Jersey and beyond, not only because she set foot in a generally-male-dominated field, but because she is taking the lead in it. Dasti was brought on by T&M in 2016 to establish the firm’s Building Services Group, expanding the technical offerings already provided by T&M. From the outset, Dasti established herself as a highly-competent leader. She quickly drove the practice forward and expanded her core team through the delivery of more than $2 million in new business. In addition to fueling the growth of the Building Services Group, Dasti has enhanced company performance by cross-selling other services, obtaining new clients, and enhancing QA/QC practices through her self-started initiatives. Her 11 years of experience encompasses hundreds of projects spanning municipalities, schools, commercial spaces, healthcare facilities, residential properties, and more. One notable opportunity being a major project management role in the renovation of the former Bell Works Facility into a two-million-square-foot mixed-use retail and office building in Holmdel, New Jersey. Dasti has accomplished that which takes some decades to achieve. She has distinguished herself as a valuable part of the community, an exemplary engineer, a positive team player, trustworthy peer, gifted leader and trailblazer who doesn’t shy away from the challenges of forging a path for herself and other female engineers. Dasti recognizes that women in engineering are under-represented as a whole—specifically, in leadership and mentorship roles. One of her main personal and professional priorities is to mentor other women in engineering (particularly those just entering the field) and to serve as an example of strong female leadership for women engineers looking to expand their careers. Dasti attended Rutgers University’s School of Engineering where she graduated in 2007 with a Bachelor of Science in Mechanical Engineering. She is a licensed Professional Engineer (PE) in New Jersey, Pennsylvania, New York and Maryland and is a member of the American Society of Heating, Refrigerating, and Air-Conditioning Engineers, Inc (ASHRAE). She currently serves on the Barnabas Health Behavioral Health Center’s Board of Trustees and has participated in a number of annual fundraiser and volunteer events, including the Team Walk Multiple Sclerosis Fundraiser and Ocean County College’s 100 Women Campaign. In addition to running five half marathons and participating in the yearly CrossFit Breast Cancer and the CrossFit Organ Donor Fundraisers, she recently competed in the Gold Cup Challenge USA Weightlifting Competition and a CrossFit team competition, earning gold in each. She resides in Forked River, New Jersey. T&M Associates is a full-service environmental, engineering and transportation consulting company committed to dependable, results-driven service that spans industries and communities nationwide. With its headquarters in Middletown, NJ, the company is consistently recognized by national and local trade organizations for project excellence, including ranking in the top half of Engineering News Record’s list of the Top 500 Design Firms and in the top 150 on their list of Top Environmental Firms in the US. T&M’s tagline, “Your Goals. Our Mission.” encapsulates its commitment to develop effective, creative and timely strategies and solutions to achieve its public and private clients’ business objectives. T&M employs a team of 350 business and technical professionals and operates from 19 office locations throughout California, Indiana, Kentucky, Massachusetts, Michigan, New Jersey, Pennsylvania and Ohio. For more information, visit http://www.tandmassociates.com/. ← Moving Up the Ranks as One of the Top Engineering Firms in Lehigh Valley.